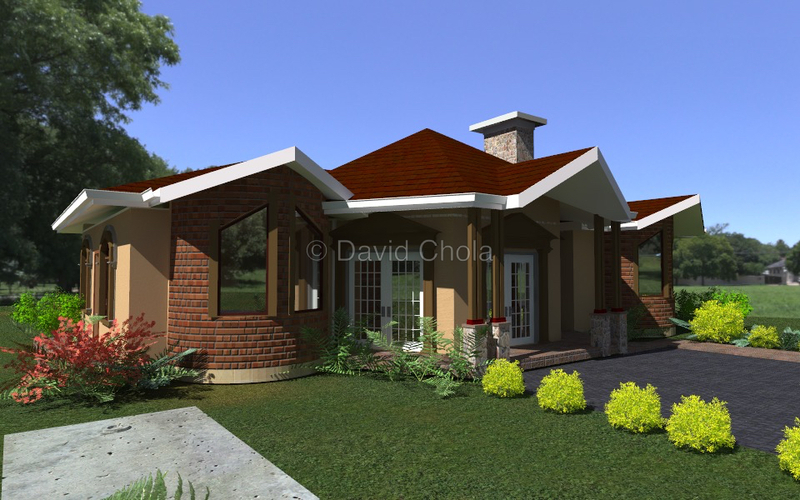 Another one of our favorite designs of 4 bedroom bungalow house plans in Kenya, this design for a luxurious all ensuite four bedroom bungalow is ideal for many Kenyan house holds seeking a spacious, graceful place to call home. The architectural design of this house plan incorporates a spacious living room, spacious porches on all sides, dining and kitchen areas as well as a built garage and utility areas. The beauty of this design is the well balanced form with the picturesque entrance porch with arches that adorns the entrance to this beautiful home. With a total area of 273 square meters, this home is a good high end design for a prime development. With overall plinth dimensions of 28m by 17meters, this design is best suited for a property of a quarter acre and above. I really love this four bedroom bungalow. I am looking at starting to build in two months time and was wondering how much it would cost me to put up such a house. Hi Doreen. Awesome to hear that you like this particular design. The beauty of its costs is in the advantages of building a bungalow especially if your soils are good and you have plenty of land available where you want to build. You will note though that the house is reasonably large, at 273 square meters, it has plenty of room. We would estimate that you can construct it with about 6.5- 9 million depending on your finishes and site conditions. If you would like to build within two months, now is the time to get your design… Let’s talk! Am interested in the 4 bed room bungalow but with minor changes. How long does it take to make changes and what is the cost? Hi Liz. Thanks for your interest in this design. Depending on what you want to do with it, slight modifications could take a day or two. You are welcome to visit our office to discuss the plan in more detail. As for the cost, I will get in touch with you via your email address to let you know how you can get it. Hi David! i like your designs so much. i want to build my parents a simple 3bedroomed house in the rural area, am budgeting on 1.5m. Any advice on that. Hello Lynn. Glad that you like our designs. Again for a three bedroom house with a budget of 1.5 million, I would encourage you to embrace some of the appropriate technology solutions that have hit the market, including interlocking soil blocks, expanded polystyrene panels (EPS panels by NHC) and the like. I would recommend that you embrace open plan arrangements in the house arrangement to minimize internal wall costs. 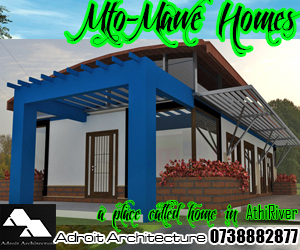 Our concise house plan which you may browse here http://adroitarchitecture.com/buy-house-plans/concise-3-bedroom-house-plan/ is a good suggestion for a house within that price range. The Deluxe 3 bedroom also can be done for a little bit more using some of the technologies available. Get in touch with us and we shall discuss. Need this plan. how much will it cost? Hi Linus. 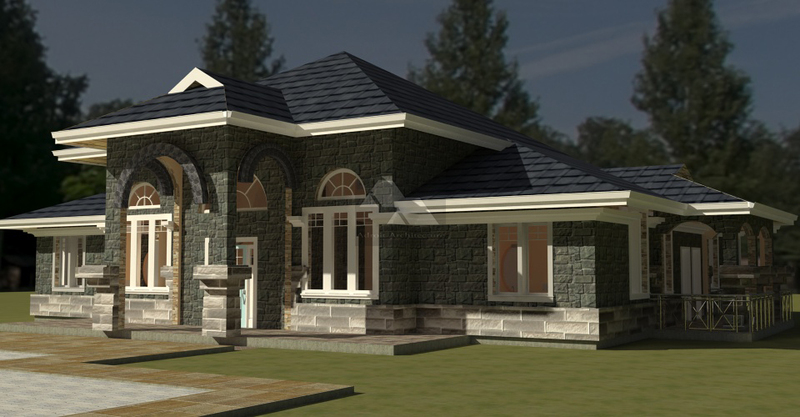 We have particularly competitive rates that we can offer you for the design of this houseplan. Typically we give you the architectural and connect you to how you can get structural drawings from our partner registered structural engineer for purposes of getting your drawings approved. We also do work out a whole package for all the drawings. As regarding how much, we shall send you the breakdown via the email you have provided shortly. Do check your spam mail in case our mail gets filtered. 2nd Floor, Park Place Business Center. Hi David, I really love your designs. Am planning builing a ranch house and I think your design matches my tastes as it offers more privacy to the m.bedroom. How much does the design cost and can it be edited to only suit 3 bedrooms not altering the layout of the rooms? The other thing is that the house is reasonably large can it be resized? Hi David,Do your services also extend to Uganda? Thank you for your comment. We can resize the plan to fit your budget. Kindly get in touch with me for further discussion on the price. My number is 0721 318614. Thanks you. Very beautiful, unique and creative. Thank you. Get in touch with us and we will ensure that you get the best house plan. Really interested in this design.How much does it cost me bro? Hi, I really like this design. Was planning to buy a house but now am thinking of building a rural home. Please let me how much it will cost me to build a 4 bedroom. Thank you Damaris. Please check your email. We have sent you all the details! Hi David, I have really liked this four bed-roomed house design, i am planning to construct a house in my rural home in a few months time. My budget is 2M, i would want a few modifications on this plan like having only one en-suite for the master bedroom and probably a few other changes. What would be the cost. Thanks. Great work David. Kindly send me the details of the design. Hi Suzie, Thank your inquiry. I have sent all the details you need via email. I await your response. I love ur design. How much does it cost? I have also seen that it would cost between 6.5 to 9m to build the house. Can this cost be reduced further down? Nice One. Kindly send me the breakdown and specifics including pricing on mail. hi David. just wandering how much it could cost to have a roof design of a 3 bedroom bungalow. My hubby and I are planning to build a home by end next year.kindly send me your details and cost for this plan. I look forward to meeting you on your project when you are around. Hi, Kindly check your email for all the details. Peter here where are you based? Very nice designs and plans. Hey nice work David. Is it possible that I can have this work done in Nigeria. I’d like to have a home like this. And how much would it cost me in Naira. Hey nice work david. I’d like to get a work like this done in Nigeria. Would it be possible and how much would it cost me? I have sent you all the necessary details. Kindly check your inbox. 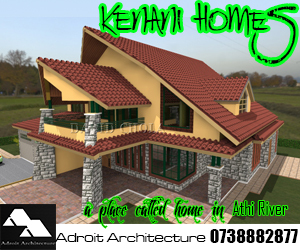 I would like to construct a 4 bedroom bungalow in Nyandarua county and would wish if you could help me the plan,construction and cost. I would like to construct a 4 bedroom house maisonette in nairobi Utawala. Please help me with plan n cost. Kindly check your email for all the details and thanks for getting in touch. I just love this house design and considering it too. I have shared all the info via email. Awaiting your response. Thank you for getting in touch. Check your email for all the details. I really like your designs. I would like to construct a 3 bedroom bungalow in Nakuru county and would wish if you could help me the plan,construction and cost. Please find all the details sent to you via email. Awaiting your response. Hi. I really love your designs. 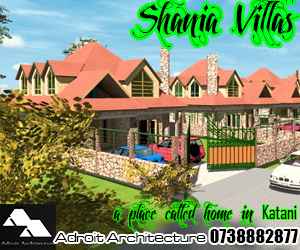 I am in the process of constructing a 3 bedroom bungalow in Nairobi. Kindly email me details regarding the same. Kindly email me the cost of architectural and structural designs. As you have inquired, we can make simple adjustments to this design to make it fit your needs and budget at no additional costs. Am impressed by that design, I want to construct a 4bedroom bungalow with only the master ensuite, how much is it likely to cost, and can u make the changes to that. Indeed you can get this house plan. As you have inquired, we can make simple adjustments to this design to make it fit your needs and budget at no additional costs. However, if we have to make many changes then it would be best to just make a custom design for you, the cost of which will depend on the size and complexity of it. We can meet and agree on the terms. 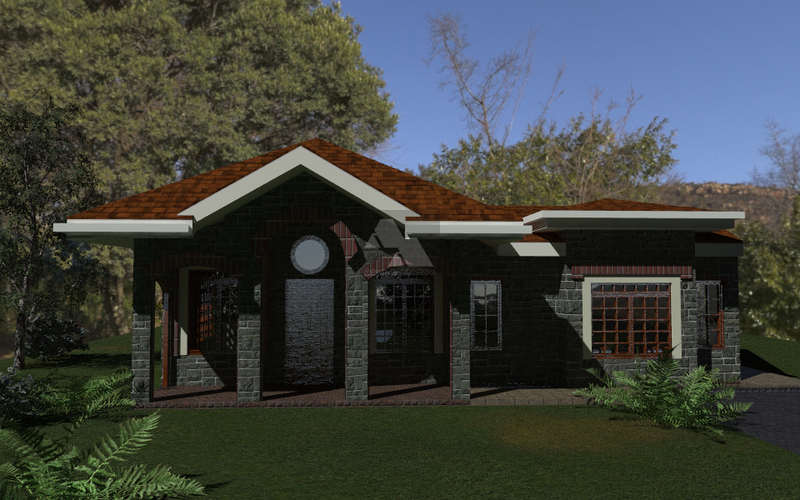 We do have a version of this house plan that has been specifically designed to fit on a 50*100 piece of land. An attic can also be added to the house plan at no additional cost. I have sent to you more details via email. I await your response. Kindly check your inbox for all the details regarding this house plan. I await your response and look forward to working with you on your construction project. Kindly check your inbox for all the details requested. I await your response. I am also interested in the 4br. Please let me have the details. This is beautiful. With all our plans, we always make minor adjustments, according to the needs of the client. We can discuss this plan and convert one of the rooms into a gym and an office at no extra cost. I have sent you more details via email. Thank you for getting in touch. 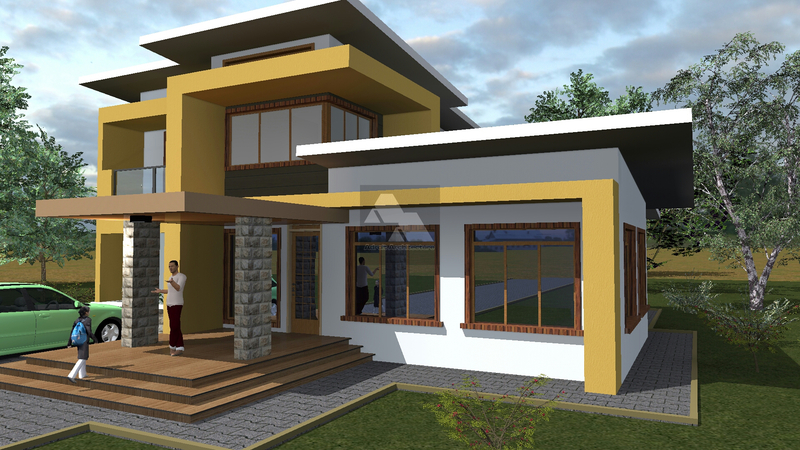 We really love this design and wish to purchase the 3 bedroom plan with a few minor changes. If you could please reply to me by email with the cost, that would be appreciated. I have sent you an email will all the details. Awaiting your response. Good design.. i love this four bedroom plan, can you send the cost of the plan and bq.. i need build for my parents..
Kindly check your email for all the details for the Arched 4 Bedroom Bungalow house plan. Awaiting your kind response. I would like to buy the design for the arched 4 bedroom bungalow with few adjustments like reducing the 4bedroom to be 3 and only master bedroom to be ensuite and same design of the house. Does it come with BQ”s? Kindly check your email for all the details. Adjustments can be made to the plan to fit your needs and budget. I have sent all the details via email. Thank you for getting in touch. Kindly feel free to visit us for further discussions on your roof design. Or send me a copy of the design in response to my mail. Hi David,how much would architectural and structural drawings cost for two bedroomed one storey four rental units? ie 2 ground floor two 2 bedroom units and 1st floor on 50ft×60 ft plot with parking 4 atleast two cars left. Also how much would you charge to come and assess my plot at sultan hamud? I like the design of this 4bedroom plan, can you send the cost of the plan whereby only the master bedroom is ensuite.. I would like to know how much does it cost get all the details of this plan. And the complete mesurment. I have sent you an email with all the details. We can send the hard copy designs to Eldoret via courier without a problem. I await your response on email. Am interested in the 4 bed room bungalow but with some changes like reducing the size of the rooms. what is the cost of the plan. Please check your email for all the details requested. Thank you for getting in touch! Yes, that is totally possible. I have sent you an email. Hi David, I am impressed by your prompt reply to requests. Please send me the design and its cost. I have a plot with a picturous view of a crater. Do you have anything for such environment? Indeed we can makes changes to any house plan you select to ensure that it has big view enhancing windows and well oriented. It’s all about customization. how much is this house plan with everything attached to it? Hi, I am interested in this plan but would like a few changes made such as reducing the number of ensuite rooms, and location of the kitchen. Please let me know if this is possible. Yes indeed, we can make adjustments to the plan as you have suggested. I have sent you an email with all the details. Hi David, am still waiting for your answer! 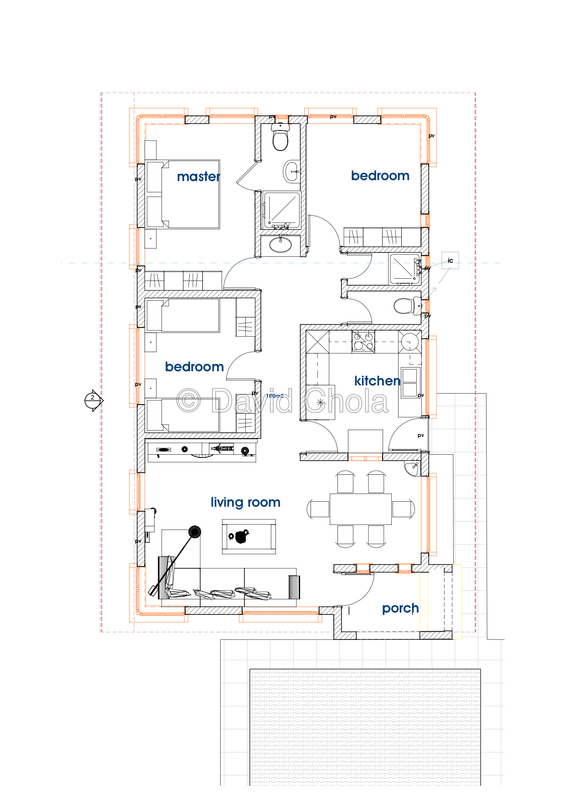 The house plan has a total dimension of 28 meters by 17 meters. The front and back porch on this design are on the 28 meter side (the longer side). So please consider not only the size of your plot but the orientation of it. 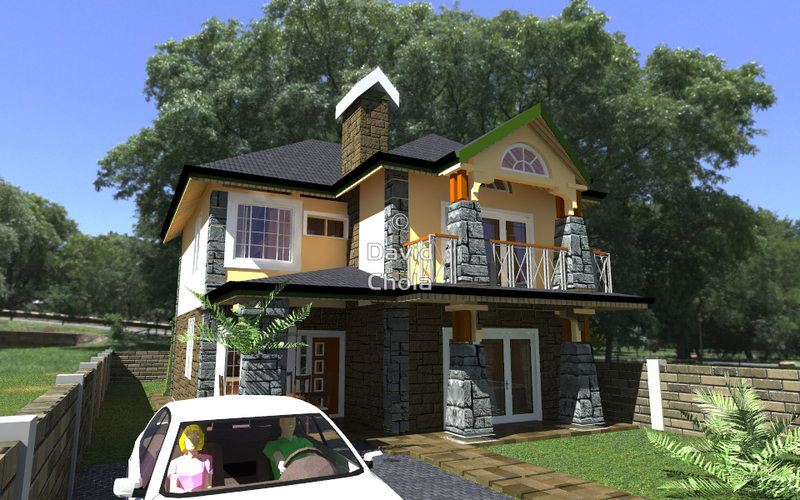 I’m looking into building a house for my parents upcountry and this design caught my eye. Kindly send me a breakdown of the costs. I have sent to your inbox all the details regarding this house plans. Kindly revert once you get the email for further discussions. This is indeed a good design. I was just wondering whether you can also be reached on phone. If you don’t mind please send me your number because I would like to bother you a bit. Here are the details of this plan as stated in our website. I have sent you a detailed email. Awaiting your response. I love this design.How much will it cost me to build a bungalow of this design considering i have a 1/4 of an acre.Is it really possible.Kindly let me know and your advise will be highly appreciated. Hi Am Michael, highly interested. call me through 0728367885. Awaiting for you to call me back. hi david. i really like the floor plan but the exterior and roofing haija nifurahisha as such. could you re modify the other parts then we talk. Now, for all our house plans, we take then time to discuss in great details the needs of the client and make adjustment to the plan to fit it within what the client wants. Once you engage us for your house plan, then we will have discussions either face to face or any other way and make the changes you desire to the roof and exteriors, to your satisfaction. Hi david,whats the total cost of the arched 4bedroom house? The standard cost of building currently is between KES 25,000 – KES 35,000 per square meter, according to the latest published rated from the Institute of Quantity Surveyors of Kenya, depending on finishes and location of the project. 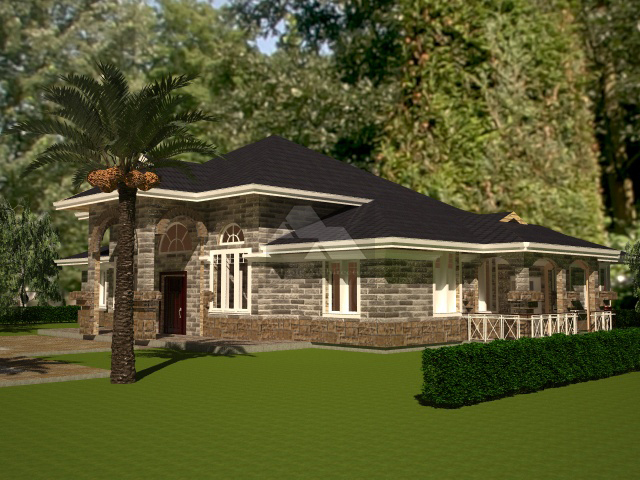 This house plan is 273m2 and the estimated cost of construction would be 6.825M-9.55M. Construction cost is affected by many factors and thus there are way to manage it. I have emailed you more details on this house plan. I love the design. Kindly email me the details of the house. I. E cost and the time it will take to construct this house. (was wondering if itnis possible to construct it within two months). I intent to build my parents in such a design in Bomer county with proper finishing. Looking forward to hear from you sir. 4 months is a good target for you to do proper finishes and ensure that you build a quality home. Rushing can compromise on important aspects of your home. Am interested i the getting this design and the BQ for the same. I want to build this house i my rural home. You can definitely buy any of our plans from Cameroon. I have sent you an email with all the details. Yes you can use mud block, just ensure that they are properly compacted to provide the structural integrity required. I have emailed you more details on the house plan. Yes we can make the necessary adjustments to the plan as per your requirements. I have sent to your email all the details on the house plan. Very nice house! David get me on the email provided. Check your inbox. I have sent you all the details. I really like this bungalow – you are a very skilled Architect :-). I am thinking about constructing a bungalow like this in Nanyuki next year. In this context I would like to meet you and discuss the steps. Can you kindly contact me via e-mail? Contact me then we can take this further. Good evening David,This a very beautiful home.kindly advice how much would it cost to build one in Narok am interested just love with the plan.if am to put it up in Narok will you be able to do the work. Email sent. Awaiting your response. I really love this plan. Am looking to start building my 4 bedroom family house. Can I have this plan with some modifications such as just one bathroom for the 2 childrens room and an ensuite for the 4th (maybe visitors) room. I am also looking at the option of a maisonette with a budget of 4m max. The land is in ksm with black cotton about 4ft deep to stable gravel. 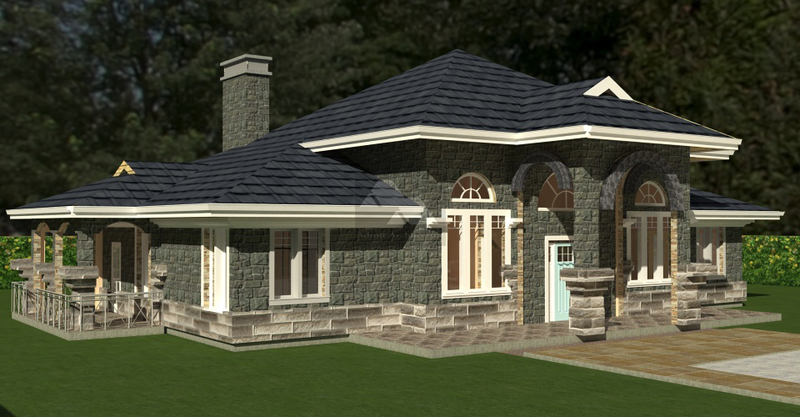 I really like the 4 bedroom Bungalow. I would like to build one in Kitale. How much would you charge me for the plan with some adjustments ? Can I also get the BoQ? I hope you got my email. I sent you all the details on the house plan and how to get a BoQ. Comment…great work David, I would like to put up a 4 bedroomed structure and I must say that you work really impressed me. how much would it cost me to build such in busia? I have sent you a detailed email on this house plans. Check and revert. hallo David, I have a piece of land measuring 80*160ft and I want to build a three bedroomed bungalow and leave some space for a grass garden.kindly help me with some plans. I will highly appreciate. I have sent you some sample house plans to look at. All these plans will definitely fit in a 80*100 piece of land. You will have all the room you need all around. We will just make sure that the house is placed well on your land to allow for other activities. What of a 50*100 plot? 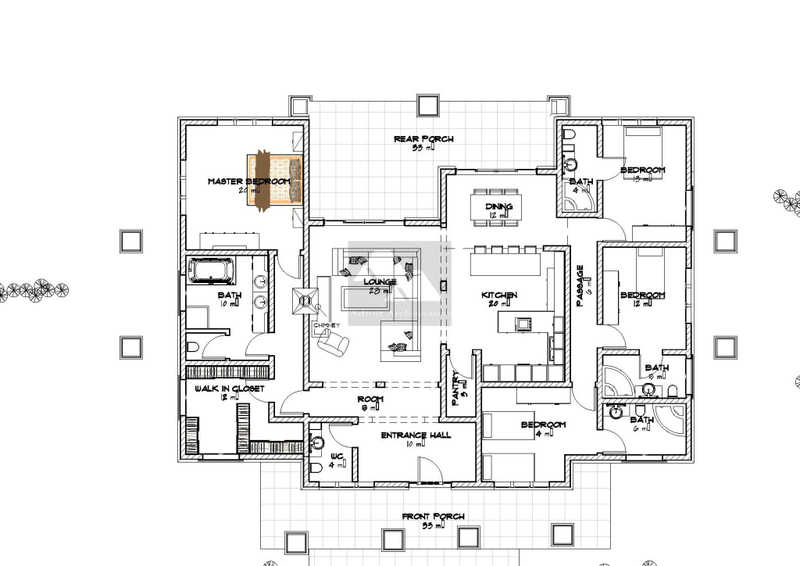 This house plan is suited for a quarter acre piece of land. The plinth dimensions of the plan is 28 Meters by 17 Meters. A 50*100 translates to 30 Meters by 15 Meters, so clearly it will not fit without the plan being modified. Keep in mind that we do modify our plans based on the needs of the client. The 400M2 piece of land is even smaller than a 50*100 so it definitely is too small for this plan without the plan being modified. Feel free to get in touch with us. We can consider a modification to fit the plan into the land you have. I hope you got my email on this house plan. It is readily available for your purchase. can the design fit on a 440 square meters piece of land? I came across your site and i love the work. Could you kindly give me an estimate of the cost involved to build this house in Katani, Syokimau. Size of land is a quarter acre. I have sent you details on how to get the house plan and the cost of construction.